A University of Michigan doctoral student has logged two pieces of evidence that may support the existence of a planet that could be part of our solar system, beyond Neptune. 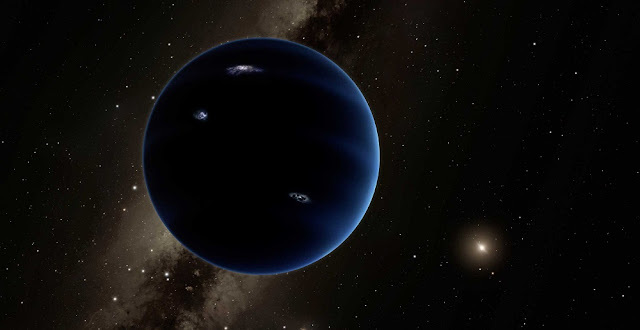 Some astronomers think this alleged planet, called Planet Nine, exists because of the way some objects in space, called "Trans-Neptunian Objects," or TNOs, behave. These TNOs are rocky objects smaller than Pluto that orbit the sun at a greater average distance than Neptune. But the orbits of the most distant of these TNOs—those whose average distance from the sun is more than 250 times as far as Earth's distance—seem to point in the same direction. This observation first led astronomers to predict the existence of Planet Nine.